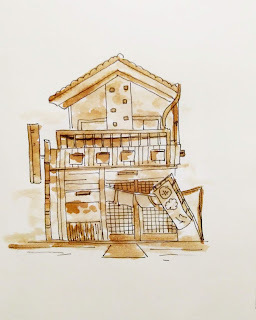 Another sketch of what so called cafe in Japanese style. I should go to Japan anytime soon. Instead just drawing from an image found on the internet, witnessing myself would be so much fun.